- Sleek and stylish, this stainless steel ring with gold ion plating has classic lines with a timeless appeal. Band measures 5/16" wide. 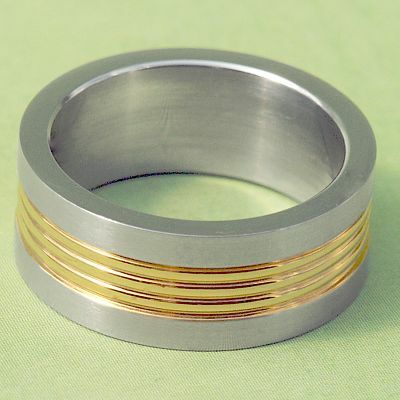 Do you have any other questions about our Golden Stripe Steel Ring?